Are you attending one of the many cultural events in Pittsfield? If so, join us before or after, for a relaxing dinner, sandwich, a couple baby dogs ... or perhaps your favorite cocktail and some great conversation. 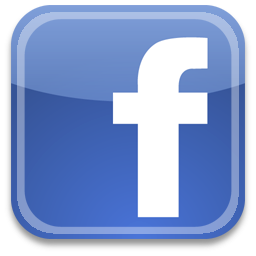 In fact, the Hot Dog Ranch is one of the closest restaurants to the new Pittsfield Colonial Theatre and we offer plenty of Free Parking. At the Hot Dog Ranch of Pittsfield, we feature an extensive menu, affordable prices and excellent service as well as daily lunch and dinner specials. Remember ...whether your travels are to, or from the Northern Berkshires, Southern Berkshires, or right here in Central Berkshire County ... dinner or lunch at the Hot Dog Ranch is a must! When in North Adams, be sure to visit the Hot Dog Ranch restaurant at its second location, at 310 State Street. Welcome to the Hot Dog Ranch, located in the heart of the beautiful Berkshires, of Western Massachusetts. 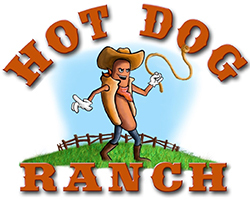 Serving delicious, freshly prepared meals, the Hot Dog Ranch restaurant has been pleasing Berkshire County residents and visitors alike for many years and we are just minutes from downtown Pittsfield. From our Famous Baby Hot Dogs to our Weekly Specials ...plus salads, steak, seafood, chicken, pork and much more. Open daily, the Pittsfield Hot Dog Ranch, serves both lunch and dinner in our dining room, as well as our lounge. We are “kid friendly” feature a casual, comfortable atmosphere allowing you a chance to sit, relax and enjoy great conversation with old friends and family without felling rushed. In addition, our full menu is available to go, including our ever popular “Specials.” Relax and enjoy a cocktail or your favorite beer while playing KENO. The Hot Dog Ranch Pittsfield, is proud to help support the Hancock Shaker Village by using their ever changing, freshly picked vegetables. We invite you do visit us and experience locally grown produce, at its best! Click Here to visit the Hancock Shaker Village online.